What’s next for Windows 10, we hear you asking. The answer, as we found out today, is another major new update Microsoft is calling the Creators Update. It’s free, it’s packed full of features, and it’s landing on your PC in “early 2017”. Read on to find out all the details. Microsoft held a press event in New York City earlier today (October 26th). And the first order of business was the next iteration of Windows 10. Microsoft calls it the Creators Update, and it’s an update packed with features designed to help users create, share, and play. Windows Capture 3D lets you scan physical objects and turn them into digital 3D images. Paint 3D is a brand new version of Paint, as leaked earlier this month The New Microsoft Paint App Has Leaked Online The New Microsoft Paint App Has Leaked Online Microsoft Paint is being overhauled in a big, bold way. And the new Microsoft Paint for Windows 10 has now leaked online. Drum roll, please... Read More . Remix3D.com is a new website designed to house community-created 3D images. It will be possible to use 3D images in Microsoft Office programs such as PowerPoint. Affordable VR headsets are on the way from HP, Dell, Lenovo, Acer, and ASUS. HoloLens will now work with Microsoft Edge 10 Reasons You Should Be Using Microsoft Edge Now 10 Reasons You Should Be Using Microsoft Edge Now Microsoft Edge marks a complete break from the Internet Explorer brand name, killing off a 20-year-old family tree in the process. Here's why you should be using it. Read More , allowing users to 3D digital content to life. Gamers will be able to start streaming their gameplay with one click of a button. Custom Tournaments let gamers create their own eSports tournaments across PC and Xbox. My People makes it easier to message, share, and interact with family and friends. The Creators Update is primarily aimed at younger users under 30, who, Microsoft claims, value creativity more than previous generations. It’s clear to see 3D plays a critical role in Microsoft’s plans too, with most of the new features built around that central theme. We won’t really know how these features perform, and how well they’re integrated into Windows 10 Windows 10 Is the Last Version of Windows. Ever. Windows 10 Is the Last Version of Windows. Ever. Microsoft is sick of you not upgrading, and has a solution: Windows 10 will be the final "version" of Windows. Ever. This could mean that you will never again have to buy Windows. Read More until the update arrives on our PCs, but all signs point towards a positive future for Windows 10 users. At the very least, Microsoft isn’t resting on its laurels here, as the Creators Update contains some true innovations. Microsoft, innovating. Wow. Do you like the look of the Creators Update? Which features do you see yourself using? Is Microsoft right to put so much emphasis on 3D elements? 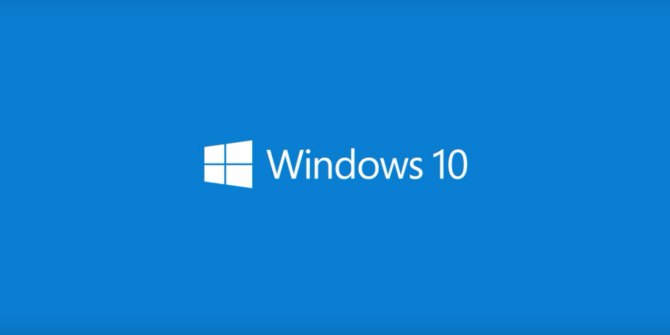 Are you pleased to see Microsoft pushing the envelope with Windows 10? Please let us know in the comments below! Explore more about: Microsoft, Windows, Windows 10. I don't care about any of these things. None of them sit at the core of the OS. What I'd like is better control of updates, both from a user and system administration perspective (e.g. for dumping those 10GB Windows.Old folders on my clients with 80GB SSDs every few months). I would also really appreciate it if Microsoft would stop shuffling settings in its user interfaces and if it would stop uninstalling common user applications like Spybot Search and Destroy during major updates. I'd also like to see a return of a user-level Profile Migration tool. Why did we lose Easy Transfer, exactly? Any one of these things is more valuable than the collective worth of everything in this proposed update. fancy new features are all well and good but not when you abandon such basics as USB sticks being plug and play. Microsoft marketing would benefit by looking at unsolved issues as well as inventing new problems. As a professional artist I can't afford this thing.